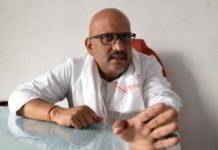 The Telugu Desam Party (TDP) Sunday said the Narendra Modi government, which was “quick to take credit for the Balakot airstrikes”, should also take responsibility for the terror attack in Jammu and Kashmir’s Pulwama district. TDP national spokesperson Dinakar Lanka alleged that the Modi government failed to gave bullet proof vehicles to the CRPF which could have prevented the attack on a paramilitary convoy on February 14 in which 40 personnel were killed. “The attack on a CRPF bus in Jammu and Kashmir’s Pulwama happened due to negligence on the part of the government. Defence Minister Nirmala Sitharaman inaugurated bullet proof buses for the CRPF on September 7, 2017. There are 200 such vehicles in the inventory of the Defence Ministry, but the forces haven’t got them yet. Where are those buses? he asked. The TDP leader alleged both the Congress and the BJP cheated the people of Andhra on the issue of special category status, but “Rahul Gandhi’s party has passed a resolution to meet the demand if voted to power”. Asked about PM Modi’s remarks that Naidu parted ways with the NDA after the Centre asked him to give an account of central funds, Lanka said he should tell how much he spent on his foreign trips. He said the BJP is “not a bad party and that the Modi-Shah duo are runing it”. In 2014, Prime Minister Modi, Chandrababu Naidu, Venkaiah Naidu and Kalyan had addressed a rally at the same venue, seeking mandate for the TDP. Kejriwal had also campaigned for Naidu in Vijayawada on March 28. Earlier, National Conference President Farooq Abdullah had attended public meetings in support of Naidu in the state. NCP leader Sharad Pawar, SP president Akhilesh Yadav, RJD leader Tejashwi Yadav, JDS supremo H D Deve Gowda and DMK chief M K Stalin will also canvass for the TDP, party sources said. Naidu’s TDP will be taking on Jagan Mohan Reddy’s YSR Congress party and Kalyan’s Jana Sena in the Assembly elections. A defeat in the assembly elections would be a setback to Naidu’s ambition of playing the kingmaker at the Centre.